Grab your closest circle of friends and spin up a bachelorette party to remember! 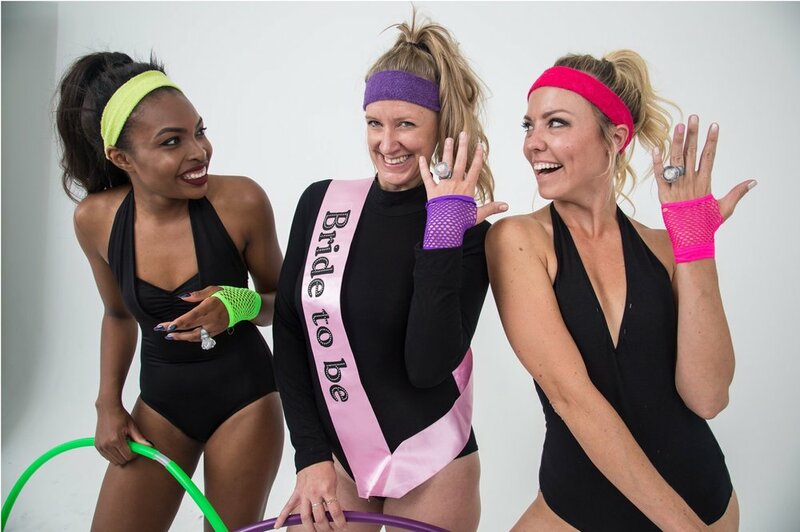 Hula Hooping is the latest trend in fitness, and now, the best way to put a ring on it with the entire bride squad. You will learn sassy hoop moves and tricks for beginners while having a blast and unleashing your inner hoop star. Multiple package options allow you to customize your hoop class to fit your party theme. Get in on the hoopla for an unforgettable soiree! Not getting married? No problem! Hoop parties can be customized for any kind of celebration! Let us bring the party to your home, hotel room, or venue! FREE HOOP for the Bride to Keep!